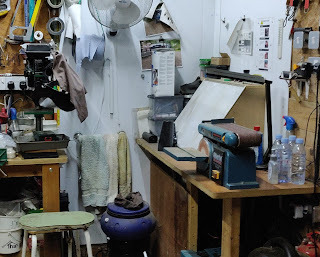 I'm sure many workshops end up the same way. I had loads of boxes of bits littering the floor and getting in the way. 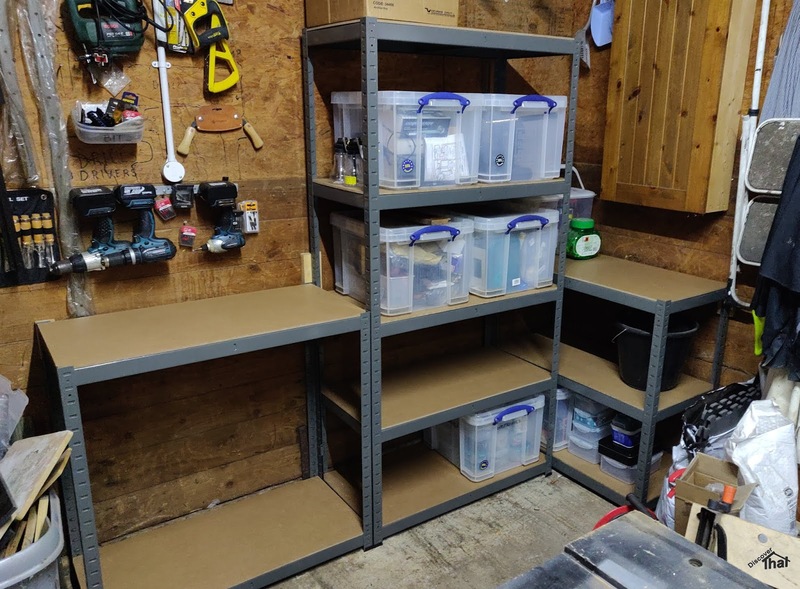 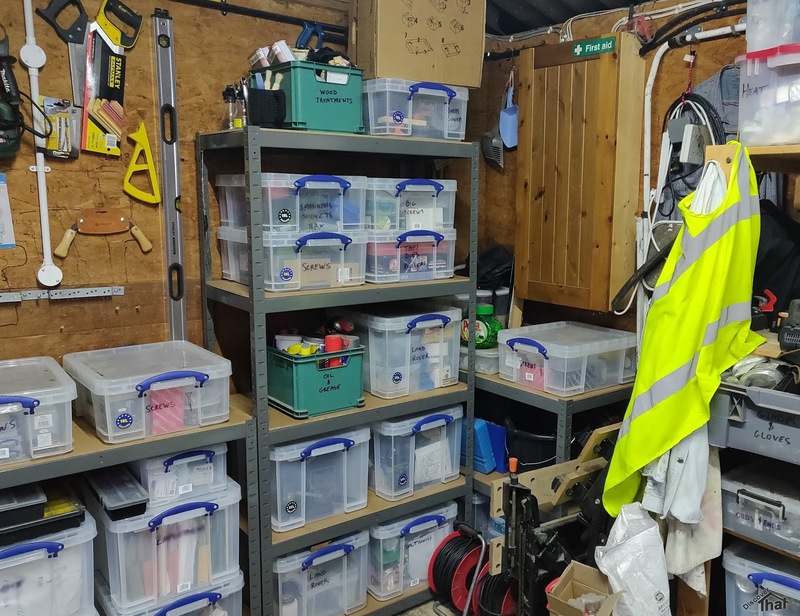 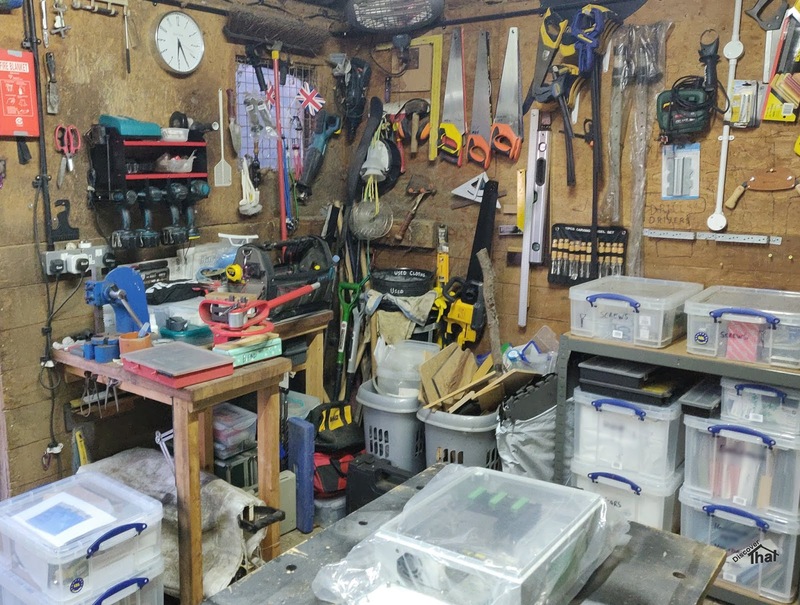 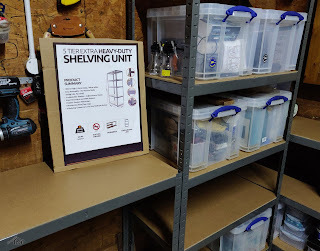 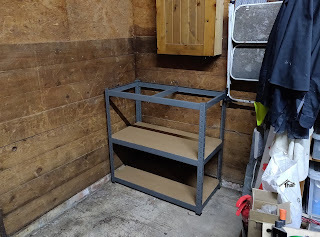 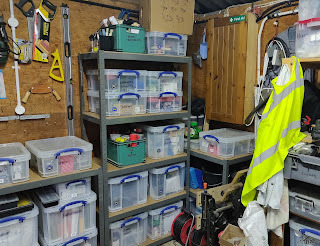 It's spring, traditionally a time for a clean up, so before starting on too many projects, I cleared out three old filing cabinets and replaced them with some, more useful, racking. 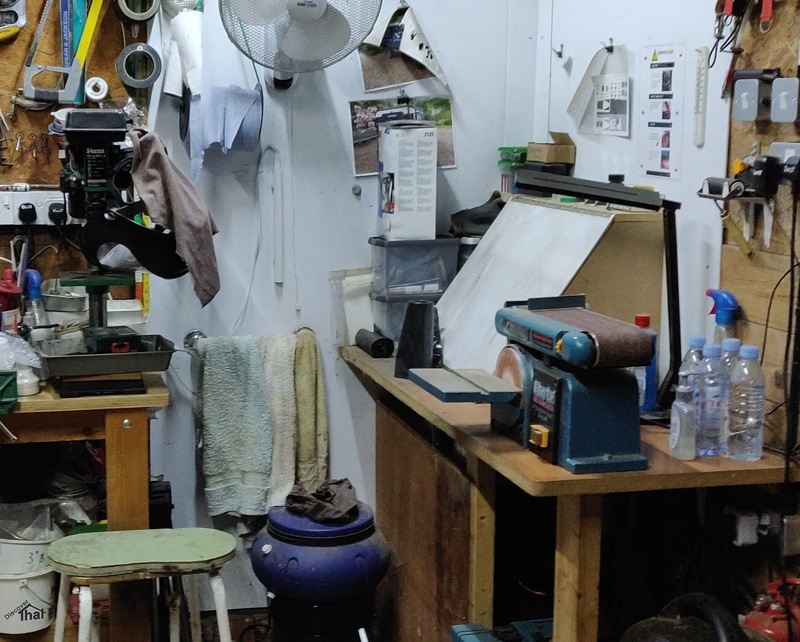 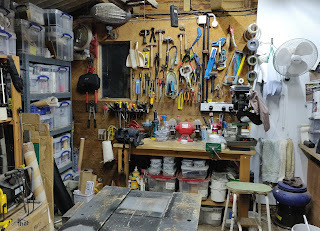 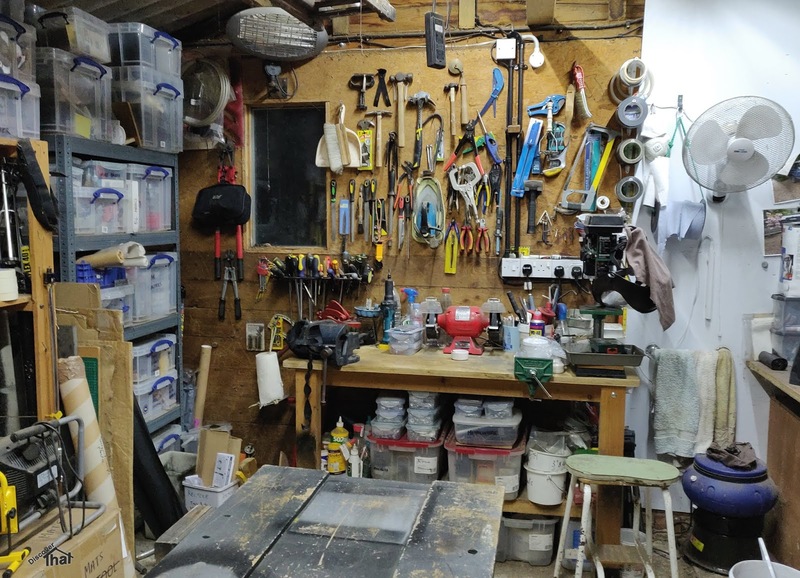 It's still a busy space but I can now move round it more easily. 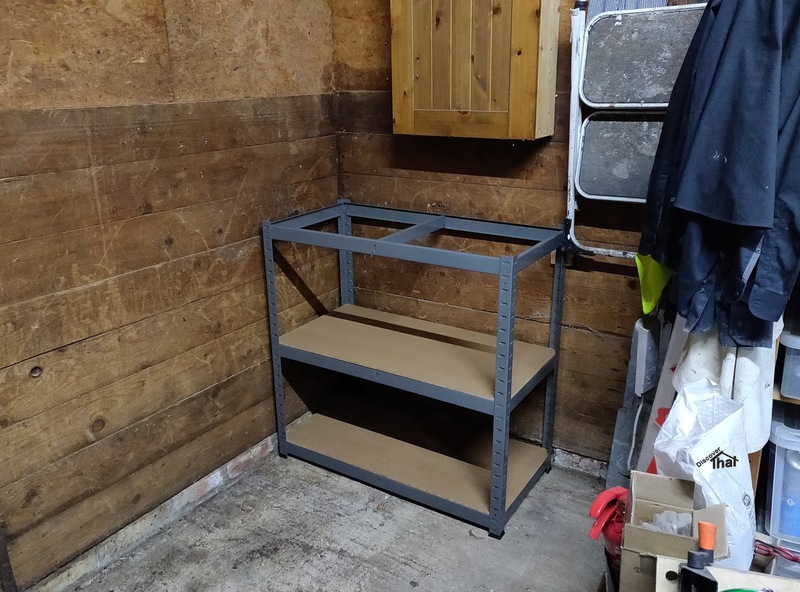 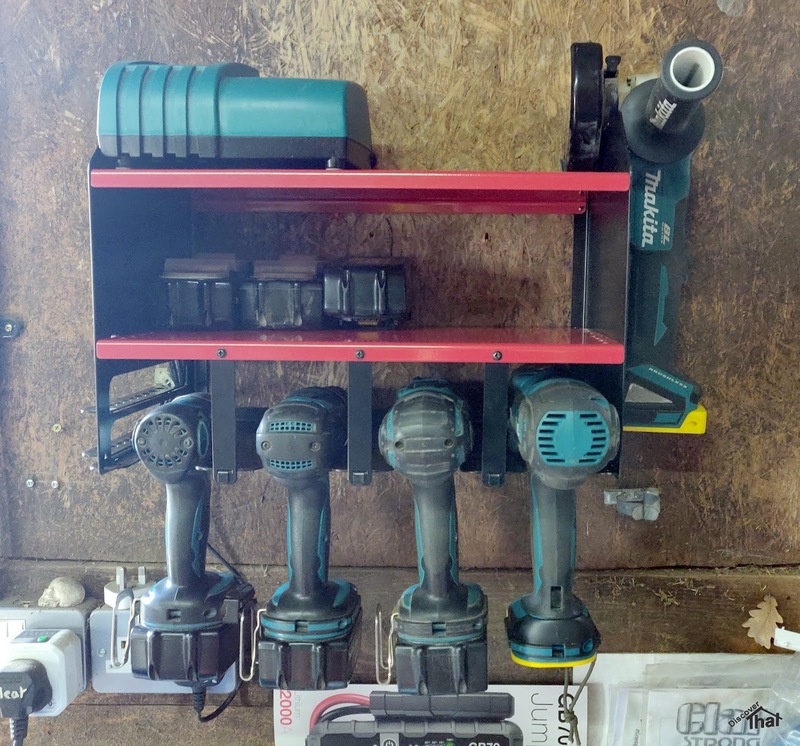 I also got round to putting up the drill charging rack that had been taking up space, still in it's box.